Avendus advises MindTree on its strategic acquisition of Linc. MindTree Consulting, an international IT services company, today announced that it has acquired Bangalore-based Linc Software Services Private Limited to enhance its presence in the application development and maintenance domains for IBM mid-range Systems . Founded in 1988, Linc Software focuses on the areas of application development and maintenance, ERP product support and Web development. The Bangaloreheadquartered company has over 220 employees and offices in the U.S.A., U.K., Singapore, Switzerland and Australia. Linc specializes in offering software services to manufacturing and, banking and insurance sectors. The company has Fortune 500 customers such as Conagra Foods, Unilever, Atlas Copco, Emerson Group, Novartis and Viacom. “There is a large installed base of IBM iSeries (formerly AS/400) systems and a strong demand for application development and maintenance on these platforms, the world over. As an important component of our growth strategy, the acquisition of Linc Software will enable MindTree to strengthen its capabilities in this space,” said MindTree Consulting President and Chief Executive Officer, IT Services, Krishnakumar Natarajan. “Linc will gain significantly from the integration and leverage its practices rapidly. The practice will have a wider canvass of customers to address - Cendant, Franklin Templeton, GE, Volvo, Emirates Airlines, Unilever and other long-standing customers of MindTree. The employees will benefit from the strong value-based culture of MindTree that makes it one of the Best Emp loyers in India. Linc’s existing customers will benefit from the wider range of services offered by MindTree that is world-class in quality,” said Linc Software Chairman and Chief Executive Officer Chandra Kumar. “Our strategy is to grow significantly ahead of the market by offering our existing and potential customers a wider portfolio of services. The acquisition of Linc and that of ASAP Solutions last year, is an integral part of this strategy,” said MindTree Consulting Chairman and Managing Director Ashok Soota. 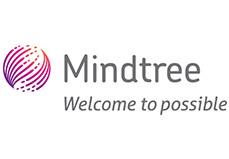 MindTree Consulting is an international IT company that delivers affordable business and technology solutions through global software development. Co-headquartered in Somerset, NJ and Bangalore, India, the company approaches technology initiatives in a business context, with the industry knowledge of a seasoned management team and employees exceptionally skilled in technology, business analysis and project management. MindTree Consulting develops applications to help companies enhance their enterprise operations. The company also delivers R&D services and designs reusable building blocks for hi-tech companies. MindTree is the world's youngest company to be assessed at Level 5 in both CMMi and P-CMM. MindTree has been ranked among the top five Great Places to Work in 2004 in a study conducted by Grow Talent Company and Business world. MindTree has also been rated as one of the Best Employers in India for the second consecutive year in 2004 by Hewitt Associates. Please visit www.mindtree.com for more information. In the past six months Avendus has helped close transactions valued at more than US$100 Million including the buyout of Fremont California based Cymbal Corporation by Patni Computers for US$68 million, the buy out of Majoris by Valtech, France for US$10.5 million and helping Softbank Asia Infrastructure Fund L.P. (SAIF) acquire equity stake in IL&FS Investsmart Limited.